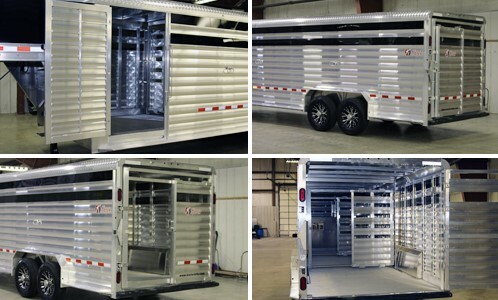 The new Deluxe II Wide trailer continues the industry-leading standards that have been associated with the standard Kiefer Deluxe II model. By increasing the width of the Deluxe II, it provides more room within the interior of the trailer, while still allowing effective use of mirrors when backing up. Unloading has also become easier with ample room for turning and leading out with a halter and lead rope. 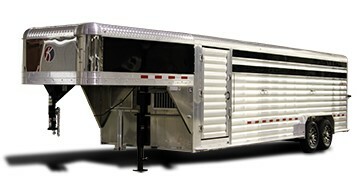 Some of the other existing Deluxe II standard features include double headers over every interior gate for more support, 4”x4” square tube superstructure that disperse stress away from the corners, quick slam latches for quick closure of doors and gates to keep livestock corralled.